Preheat oven to 350˚F. Place half of the cubed bread in a 9x13 pan. In a medium bowl, whisk together eggs, milk and maple syrup. Set aside. In a small bowl, mix together sugar and cinnamon. Sprinkle over the bread. Spread raspberry jam over the cinnamon sugar and top with the rest of the bread. Pour egg mixture evenly over the bread. Bake, uncovered, 30-35 minutes, or until a toothpick inserted in the center comes out clean. Make icing. Combine confectioner’s sugar, butter, vanilla and milk in a bowl. Using a hand mixer, mix until smooth. 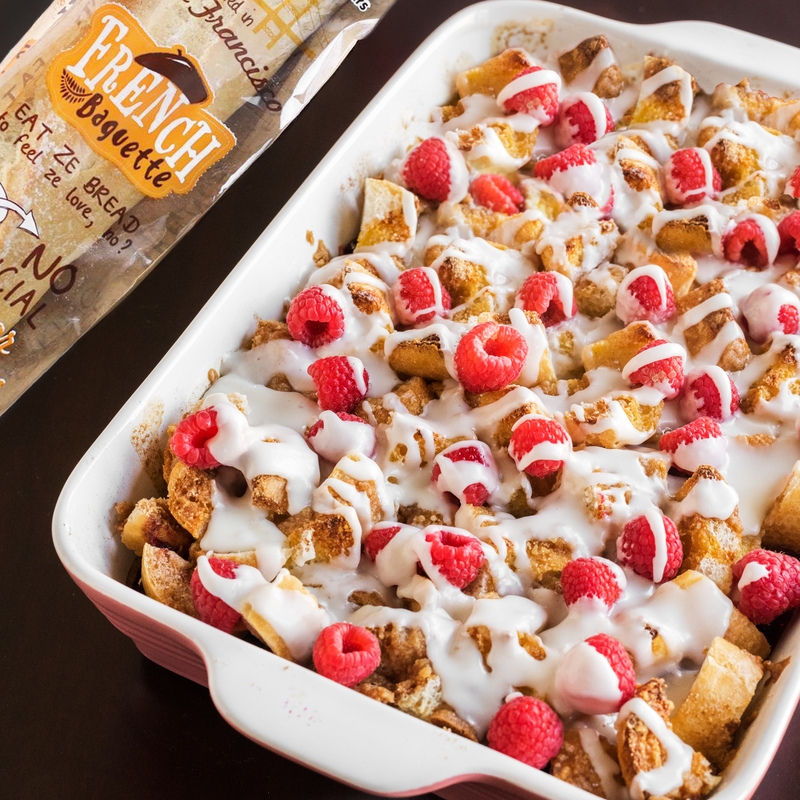 Sprinkle baked French toast with fresh raspberries and drizzle with icing before cutting and serving.